Posted in Kadai Firebowls and Accessories. Perfect for slow cooking in the great outdoors! 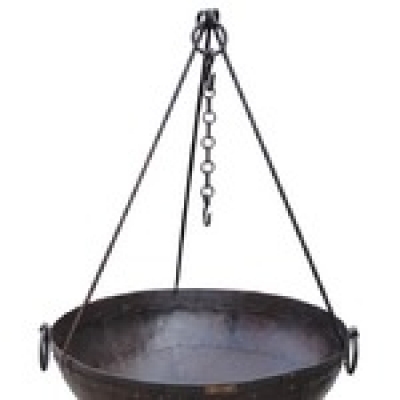 This easily fits to the top of your Kadai Firebowl and is used to suspend cooking pots or kettles in a traditional way, giving an alternative barbecue experience. For use with the stone griddle plate cooking bowl or flat hanging skillet. Made with thick wrought iron with an adjustable chain. To fit Kadai diameters from 60cms up to 80cms.